From HACR’s headquarters in Washington, DC. After decades on Wall Street, Cid Wilson joined the Hispanic Association on Corporate Responsibility (HACR) as president and CEO. HACR is one of the most influential advocacy organizations in the country, with a mission to advance the inclusion of Hispanics in Corporate America. 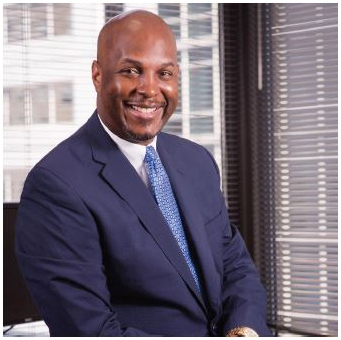 In this exclusive interview, Wilson describes his background, struggles and victories, and professional ascent in the financial services. You grew up in the New York metropolitan area, a very diverse location. When did the issue of workplace diversity first come to your attention? I grew up in Teaneck, New Jersey, a very diverse town. The dominant ethnic groups were African American and Orthodox Jewish. The next town over, Hackensack, is also diverse: predominately Colombian, Ecuadorian, African American, and Italian. I was just five miles from Washington Heights which is predominately Dominican. So growing up, I was surrounded by diverse communities and it wasn’t long before I realized the value of diversity. From my own professional and personal experiences, I have seen that embracing diversity can be very positive for companies and institutions, and the consumers they serve. While Wall Street had diversity among their entry level positions, there was very little diversity at the Managing Director level and above. I believe that with improved workforce diversity at the senior and executive levels, companies can better serve their consumers and improve workforce retention. How have your career achievements been enhanced by exposure to diverse people, places, experiences or publications? My first job was at the age of 13. I was a paper delivery boy for the Bergen Record. From this experience, I learned good customer service skills, how to manage a business and how to meet the needs of a diverse customer base. Over the years, as I took jobs in college and later in my professional career, I was surrounded by diversity. It encouraged me to not only learn more about our own diverse Latino community, but also other ethnic and religious diversities. This has allowed me to learn from the teachings of great leaders, whether it’s Dr. Martin Luther King, Mahatma Gandhi, Cesar Chavez, or Dolores Huerta. As a child you struggled with a speech impediment. Today, you seem to welcome public speaking with open arms. What steps did you take to overcome that obstacle, and what motivated you to improve? Speech disfluency was a major problem in my childhood and teenage years. I was told in college that I was not fit to work on Wall Street because of the disfluency. Instead of accepting that recommendation, I decided to conquer it. I got support from The Ohio State University speech fluency program and later joined Toast Masters International. It wasn’t long before I went from someone who was shy and speaking publicly, to someone that speaks publicly on a frequent basis. I deliver, on average, two to four graduation speeches per year and I speak at dozens of conferences and galas as well. I was motivated to overcome my disfluency because I knew that a path towards leadership would certainly require public speaking. During your undergraduate studies at the Ohio State University, you helped bring Spanish-language television to Columbus, Ohio. What advice can you give to others who might find themselves in a place where the focus is on a culture different from their own? I was deeply disappointed when I enrolled at the Ohio State University and learned that the local cable company did not carry Univision or Telemundo. Instead of complaining about it, I took action to change it and built a coalition of students, university administrators, elected officials, and other community leaders, empowered to make a change. We circulated petitions to show the cable company that they need to include Spanish language television in their 150-channel cable line up. They were resistant at first but we finally prevailed. My advice to others who may be in similar situations is to take action, build coalitions, create awareness, start a petition, and keep up the activism. If you do that, you will prevail. You‘re an alumnus of HACR’s professional development programs, and spent two decades working on Wall Street. How did HACR’s programs benefit your career? I am a proud alumnus of the HACR/Harvard Business School Executive Education Program on Corporate Governance. It opened my eyes to the ‘ins-and-outs’ of serving on a corporate board. I was successful in expanding my advisory board service to two Fortune 500 companies. Additionally, the program enhanced my Wall Street career by helping me better assess how the board of directors can have an impact on the valuation of a company. I am very thankful that I was able to participate in the program. You helped to co-found a group called Dominicans on Wall Street (DOWS), and you’re also member of the Board of Directors for the National Council of La Raza (NCLR- formerly) and the Puerto Rican Legal Defense & Education Fund (PRLDEF). Why it is important for you to stay connected to the Hispanic community? I live by a personal standard that “when you succeed, you give back; and when you give back, you succeed.” As I continued to rise up the corporate ladder on Wall Street, I felt a personal obligation to share my success with the community. As a proud Dominican American, I first got involved within the Dominican community in the New York and New Jersey metropolitan area. Soon after, that expanded to leadership roles in national Dominican American organizations, which then led to serving on boards such as LatinoJustice PRLDEF, NCLR, and my appointment to the National Museum of the American Latino Commission. I believe that it’s important to not only stay connected with the Hispanic community, but to be engaged and active. All of us can make a difference but we must be willing to be a catalyst for positive change. Together as a community, we can solve the challenges we face and achieve our common goals of empowerment. What does it mean for a Fortune 500 corporation to have a commitment to the Hispanic community? At HACR, we focus on our four pillars that help measure a company’s commitment to the Hispanic community: Employment, Procurement, Philanthropy, and Governance. These are key areas of investment for companies if they are to be fully inclusive of Latinos. At HACR, we put heavy focus on governance because a company’s corporate culture starts with the board of directors. Only 3% of all Fortune 500 board seats are held by Latinos, less than 1% by Latinas. We believe that more can be done to improve Hispanic inclusion at the corporate board level. How do you define as success for HACR’s mission? We measure success for HACR using a simple measurement: Have we come closer to achieving and accomplishing our mission, using the HACR four pillars as a measurement? Our HACR staff is dedicated to increasing Hispanic inclusion in Corporate America at a level that is commensurate to our $1.3 trillion in economic contributions to the U.S. economy. What do you see as the most challenging aspect of a diverse Corporate America? The biggest challenge we face is changing corporate culture at the board level. If you have a board that is not diverse and you ask a non-diverse board to fill vacancies, they are likely to fill it with another non-diverse board member. We are on a mission to change that corporate culture so that companies can be more strategic about their board appointments. A diverse board that includes Latinos is a board that can better meet its corporate mission. In your opinion, what is the most important leadership trait required to foster a climate that is receptive to different cultures in Corporate America? I believe that you must be an inclusive leader. When you are inclusive, you foster a corporate culture that embraces and celebrates diversity. You also need to be willing to learn about the different cultures and traditions that come with those groups. By embracing those traits, you will become a leader within your company. What advice can you offer for recent Hispanic college graduates wishing to establish a career in Corporate America? I have very simple but empowering advice for recent college graduates: FEAR NOT YOUR AMBITION. If you believe you can do it, that is all that matters. Don’t let others tell you that you can’t do it when you know that you can. Remember to set goals, be passionate about your game plan, and move forward towards those goals. Don’t be afraid of failure as this will be your learning foundation for future success.